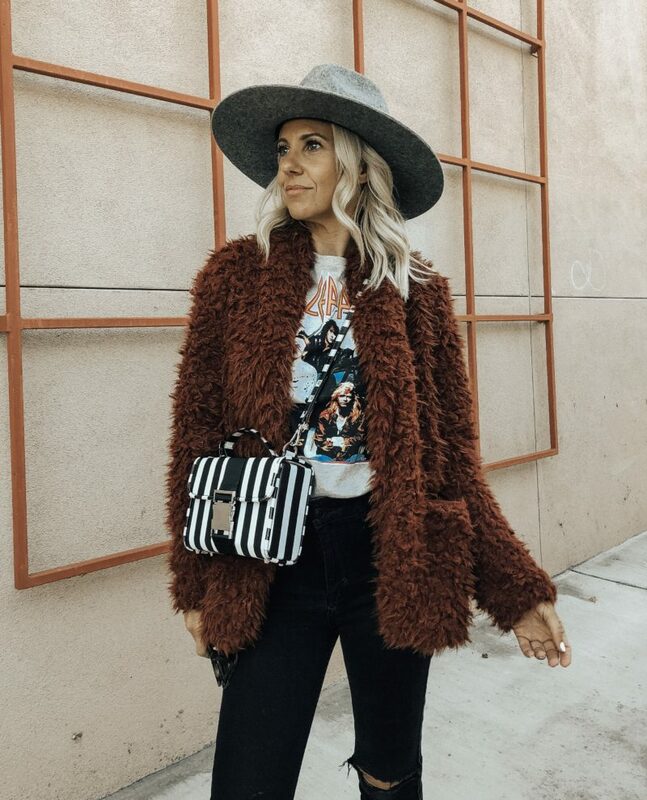 First of all I am definitely a crazy hat lady and truly believe that wearing adding a hat to any outfit instantly makes it better. With that being said my hat collection really started to grow so I needed to find a place to keep them. 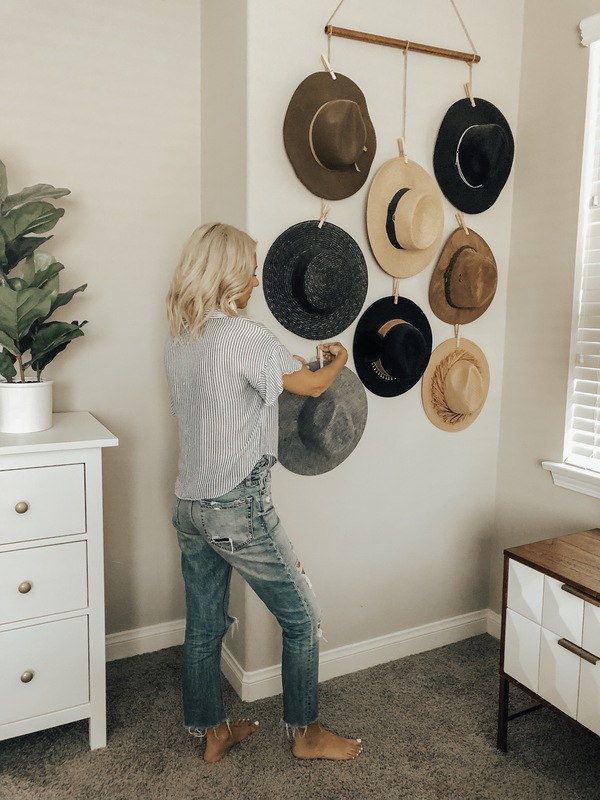 I came across @gypsytan's Instagram and loved how she created her hat wall and was inspired to make my own. I showed Rod what I wanted to create (he's the crafty one in the family) and we headed to the store to pick up the supplies. With less than $20 and a few short minutes and I had the hat wall of my dreams. Since I've gotten so many questions about it on Instagram I decided to share a quick little DIY on how we created it. So here it goes! Once you've got your supplies it's time to get to work. First you thread the twine through the copper pipe and create the size triangle you want. Cut the twine, tie a knot and hide the knot within the pipe. Next cut 3 strips of twine for each string of hats you would like. It's always better to cut them too long and have to trim them later rather than them being too short. Then tie each string to the copper pipe with one in the middle and the other two on each end. Next you're going to attach the clothes pins to each string. I have three on each end and then two in the middle. You will need to use your own hats to see how much space you will need between each clothes pin. 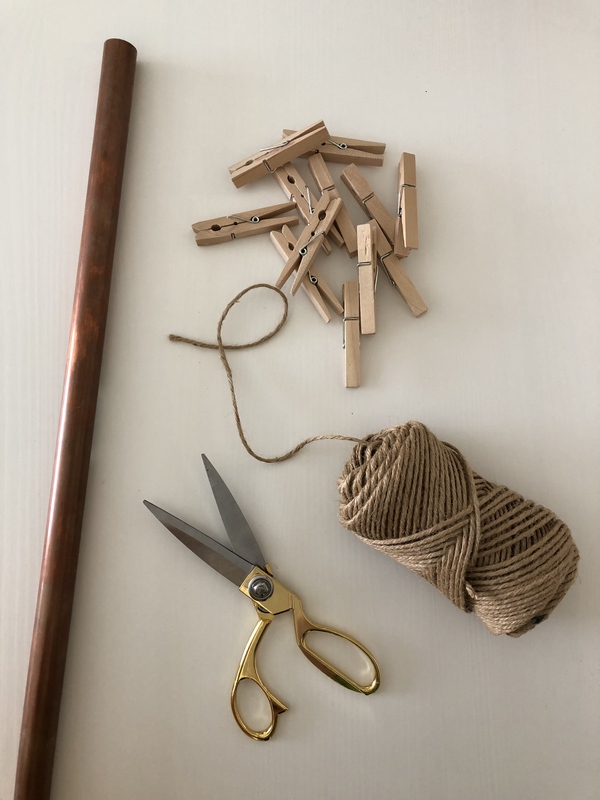 To attach the clothes pins you can either string it through the hole in the clothes pin or make a knot around it to secure it. Once you've attached the clothes pins you can hang it on the wall and start adding your hats. *tip- Keep in mind how heavy each of your hats are and make sure to balance the weight on each side. This keeps the hat wall from hanging too far to one side. There you have it! A super easy DIY that's under $20. 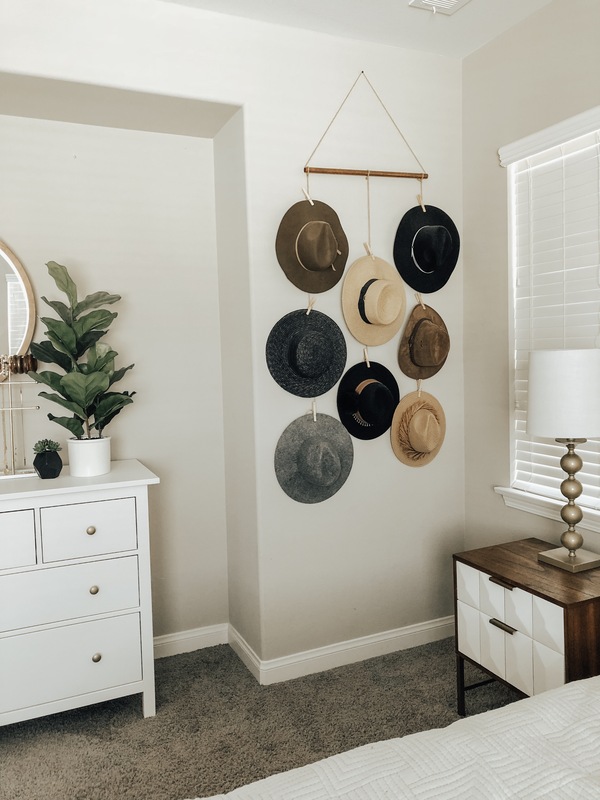 It's not only a great way to store your hats but it's a boho chic decor piece for your wall. Check out my IGTV video below for the complete step by step video tutorial. Thanks for stopping by! I'd love to see the hat wall you create so please share your results. 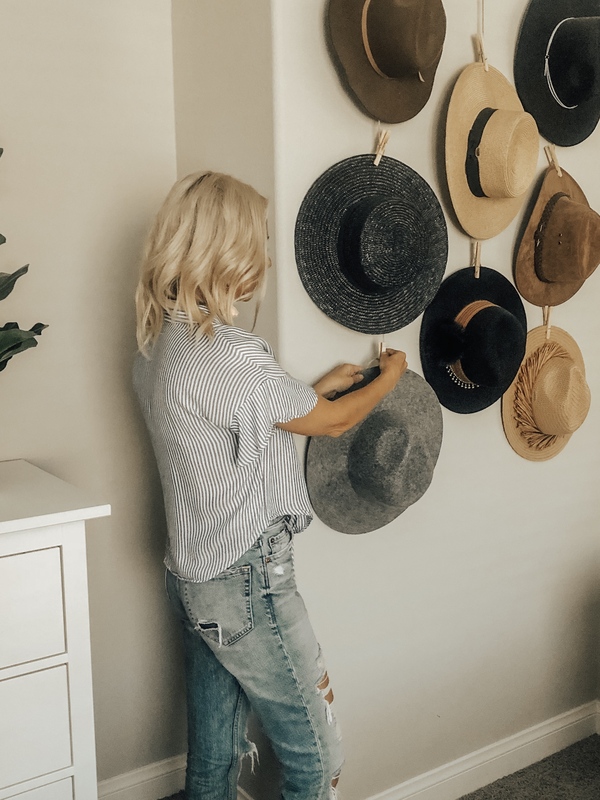 This under $20 hat wall display takes only minutes to create and makes storing your hats so chic!